A 12-pound-plus lead on the final morning of a tournament is almost impossible to lose. Then again, we almost witnessed it at the FLW Tour event at Lake Toho over the weekend. After three days, JT Kenney seemed to be a lock for the win. He’d crushed the field the first two days and was on cruise control the third. But Day 4 showed anything is almost possible. Both Wesley Strader and Scott Canterbury made massive charges, while Kenney could only scrape together a limit of 9 pounds, 4 ounces. Fortunately for him, that was just enough – by 11 ounces – to hang on for the win. By winning at Toho, Kenney was able to jump 10 spots in the Majors Ranking to 30th. He may even climb into the top 25 in the next few days, when a bad finish at the 2013 Lewis Smith tournament drops off his average. Meanwhile, Canterbury’s fourth second-place finish on the FLW Tour means he’s already in the top 25, as he jumped 11 places to 24th. 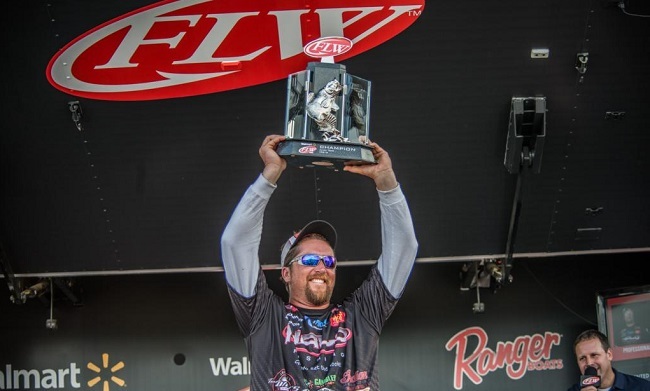 Canterbury is quickly becoming the FLW Tour’s version of Aaron Martens, as he has two second-place finishes in the Forrest Wood Cup and another two on tour. Then there is Strader, who has quietly moved into the top 15 on the heels of his third-place finish at Toho. Strader only has one top 10 in the last two years on tour, but he also has bested at least 70 percent of the field in 11 out of the 14 events. Looking at the top of the ranking, Anthony Gagliardi had moved all the way up to No. 2, but his middle-of-the-pack finish at Toho saw him slip to fifth. And we’ll finish with Stacey King, who is still recovering from an offseason illness. Yet he fished well enough at Toho to jump 11 spots to 18th.